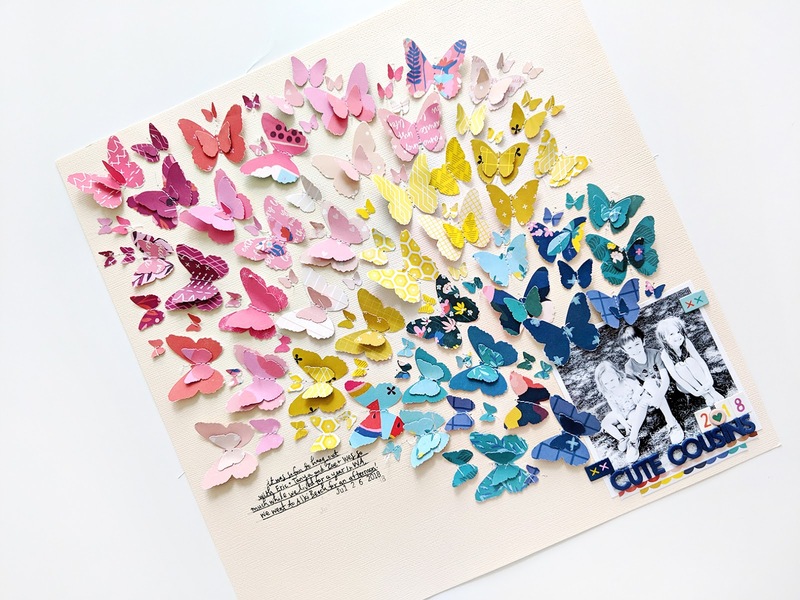 I have a new layout & process video to share today that I made for the Pink Paislee blog featuring my Pick-Me-Up collection and butterfly punches! I began by punching a whole bunch of butterflies in four different sizes from almost all 24 patterned papers in Pick-Me-Up, both the front and back sides. I focused mostly on the solid colored papers but also punched images from papers with icons and went crazy on Paper 10 with all the squares of different patterns. 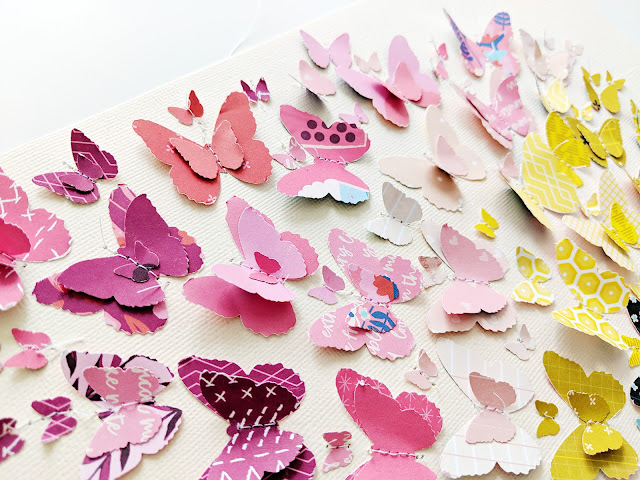 Once all of the butterflies were punched I arranged them into rainbow order going from purple to red, pink, salmon, yellow, blue, aqua, and dark blue. I chose a cream textured cardstock for my background and adhered a 3" square black & white photo on the bottom right corner. Starting at the top edge of the photo, I began placing the butterflies continuing with the rainbow order theme. I placed adhesive only on the middle so that the wings could bend up. I added the largest butterflies first and then filled in the empty spaces with the smaller ones. 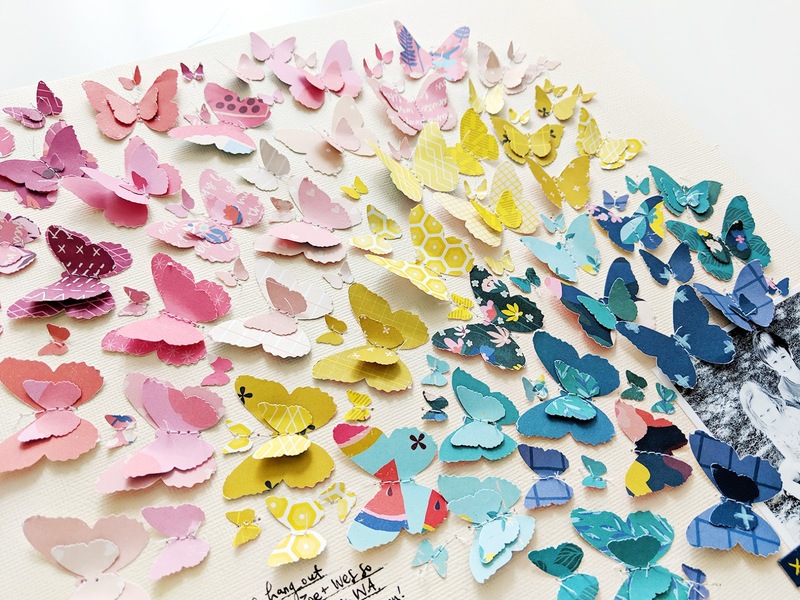 Once all of the butterflies were adhered I stitched down each one using my sewing machine and white thread and then bent up all the wings for lots of dimension. I created a title at the bottom edge of the photo with the blue Mini Thickers and then trimmed a tiny colorful edge from one of the papers in the 6x6 Paper Pad. A few Chipboard Stickers, the year made with Stickers, and some hand written journaling finished up this page! 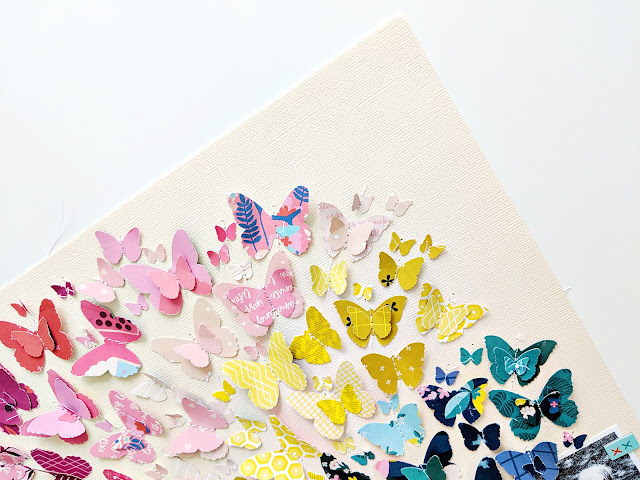 With so much color going on, the layout didn't need much else - the butterflies are the main design element and I love the rainbow effect! I hope you are inspired to bust out your punches and create a colorful layout using the Pick-Me-Up collection! Thanks for stopping by today! This is soooooooo gorgeous! 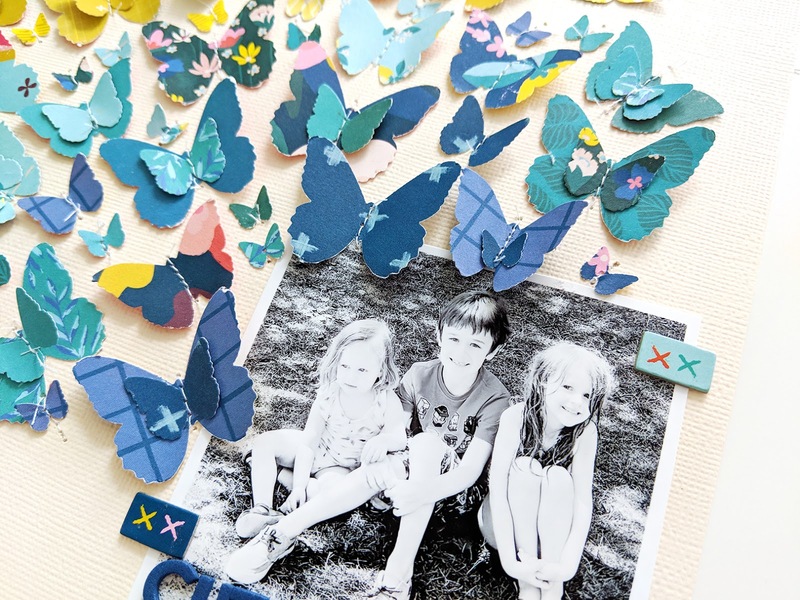 LOVING that adorable photo and the rainbow of butterflies!!!!! !